This is the slim rolling shoe rack that stores and organizes up to 50 pairs of shoes when floor space is at a minimum. 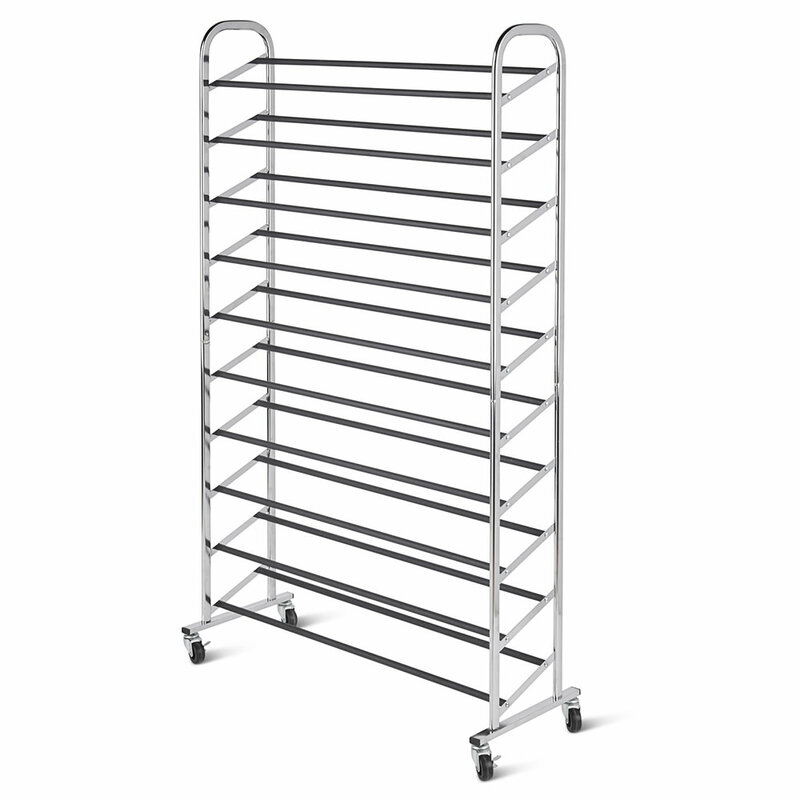 The large capacity rack is constructed from sturdy chrome-plated steel for years of durable service; the ten tiers with non-slip bars are conveniently slanted outward for easy viewing. Four smooth-rolling wheels allow for quick transport from room to room and then lock to keep the rack securely in place. Tool-free assembly required. 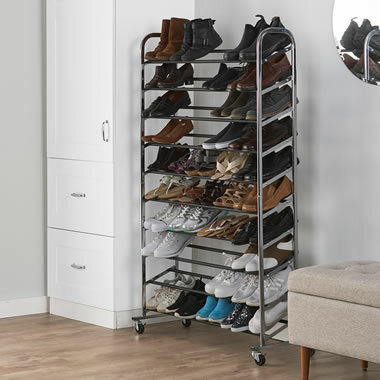 59 1/2" H x 35 1/2" W x 13 1/2" D.
The Rolling 50 Pair Shoe Rack comes with The Hammacher Schlemmer Lifetime Guarantee. Items that we sell are guaranteed for their normal life under standard non-commercial use.